← Jupiter/Uranus waxes, Saturn/Pluto wanes, miners are free! I am pleased to say that 75% of my original twelve research subjects have now returned their responses to Questionnaire Two. (Still not too late, the missing 25%!) This is a good return for ongoing research from which there is always a drop-out rate. Those of you following the fortunes of “Giorgio”(28) “Maria” (32) “Julia” (37) “Diana” (38) “Harry”(41) “Eve”(51) “Alicia” (53) “Kathy” (54) “Caroline” (58) “Louis” (60)”Fiona”(61) “Barbara”(81) will see that the exceptional disruption and turbulence which has so characterised 2010 for our world, is also continuing to make its mark on their lives. For readers new to the research, click HERE to read background notes on the project, and HERE to read through the first phase of the research (or to refresh your memories if you are an existing follower). Summer Solstice 2010 through to Autumnal Equinox 2010. Background: after years of feeling stuck in my job, I finally decided to quit and go abroad volunteering. However, this is a temporary experience between May and September 2010, so I am looking for what might come next. The time between June and September was then spent in Iceland. As of 21st June, I received two new opportunities that I promptly applied; the following two days, I had difficult situations within my work group, and also my relationship. First two weeks of July I traveled extensively, in one of my greatest life adventures (as Uranus retrogrades into Pisces). For instance, I hiked the Icelandic volcano. Strikingly, when Saturn entered Libra, 22nd July, I started having a major relationship crisis which lasted the 2 weeks of the cardinal climax! It was a very intense time!! Curiously, a repetition of this happened again in the days surrounding the 23rd September equinox. We are very gradually figuring out which paths to follow in life, making personal revolutions in our future directions. One last conclusion: the decision to follow this exciting and liberating adventure was amazing; I lived a epic summer of joy, but marked with several deep perspective shifts in the aforementioned dates. Maybe in Aries fashion, it marks a departure from conventional living, and creating my own individual unique path. But grasping futuristic trends, for instance we are thinking of an eco-village….. 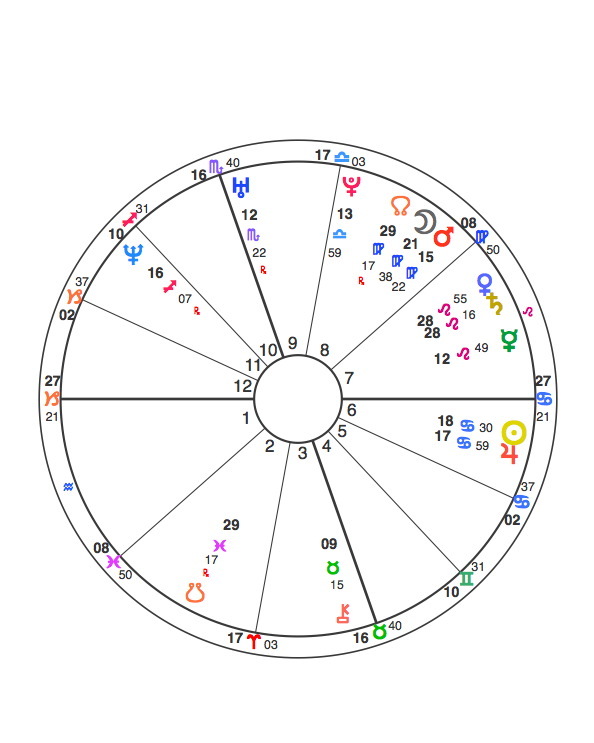 I believe Jupiter/Uranus was hitting my South Node (2nd House) while Saturn was on my North Node (8th house).Chiron/Neptune inconjunct my North Node and the Moon squaring my nodes several times during this period. 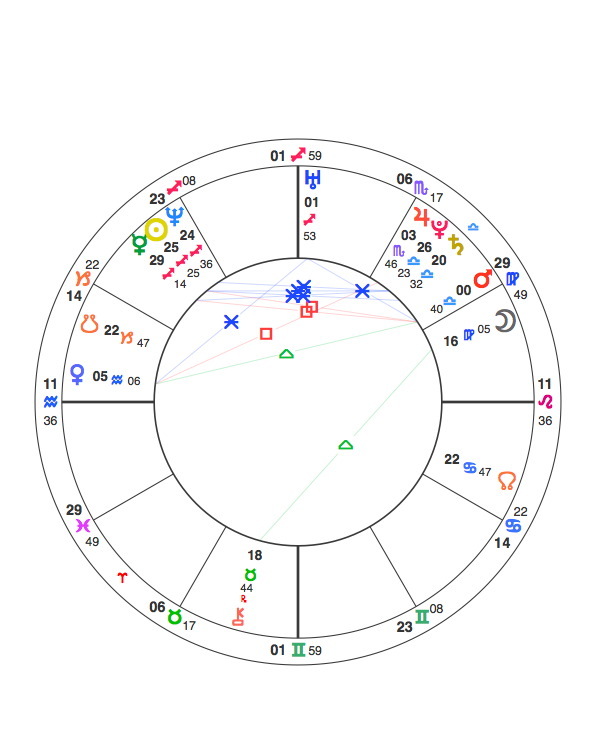 Also, had the Cancer eclipse on my Jupiter/Sun. Four days after my last day at work was my birthday. Had a nice dinner with friends was surprised by a few people showing up, felt very loved. Next day moved out of state for six weeks to do an accelerated academic program. Barely slept as I was socializing and completing complicated assignments almost daily. Got one of the top scores in class. Felt as though I made lifelong friends while in the program. Received my retirement payout from my old job. Never had so much money in my whole life. happenstance in a completely different neighborhood than I was looking for. Was told by the manager that it was promised to a current tenant. Got a call several days later that the tenant decided to stay in their original apartment and that the apartment was mine if I still wanted it. Went to several “celebrity” parties and met some celebrities, all of whom seemed very down to earth which I was not expecting. down in the last few days but it happened after the Equinox so I look forward to the next questionnaire! 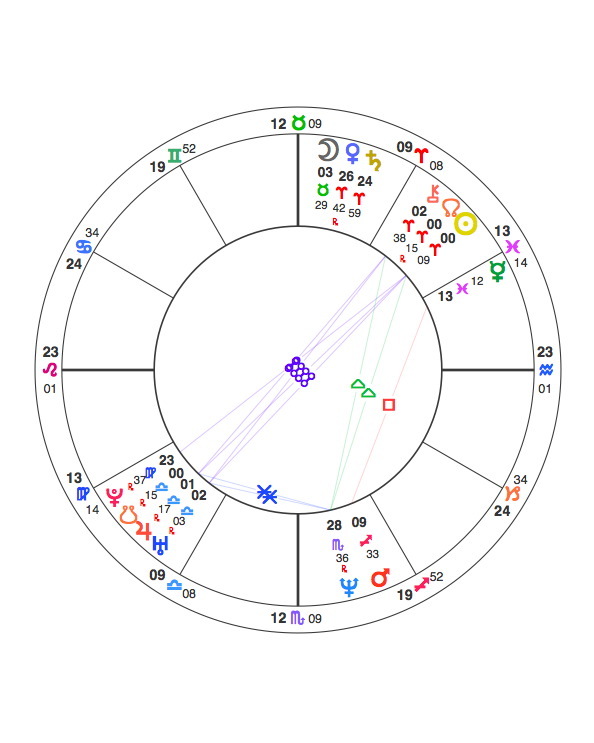 After making travel plans during the last week in June 2010(during the Lunar Eclipse period), my partner — a 7 Libra Sun — traveled to Zurich in July, during the week of the Solar Eclipse at 19 Cancer (conjunct my partner’s Progressed Mars, ruler of his 9th House), in fact, to interview for a job. At the same time, two other law firms here in the States met with him, liked him and quickly offered him positions. On 29th July, as Mars prepared to move into Libra, the Zurich law firm stepped up and offered him a Partner position. As those planets moving into Libra are in opposition to my Aries Sun/North Node — indicating a situation not of my creation forcing me to adjust and make changes –, that this would be happening because of my Other Half makes sense. He received the official Work Contract on 5th August, was welcomed aboard officially via company email on the 9th, and the immigration process — as we’ll be moving to Switzerland because of this — was started on 20th August. We then learned today (23 Sept), after an initial delay with the paperwork — Hello, Mercury Retrograde! — that his Work Permit should be approved within a month with our Visas following soon thereafter, probably within two weeks. And then we’ll be set to make the Big Move! 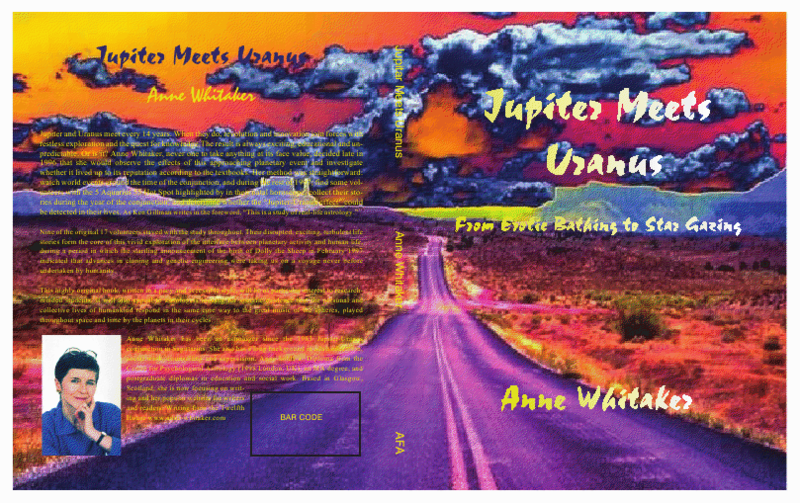 This entry was posted in Tales from the Wild Ride: Jupiter/Uranus 2010/11: Real Lives in Action Parts 07-10 and tagged "Jupiter meets Uranus", 14-year Jupiter/Uranus cycle, American Federation of Astrologers, Anne Whitaker, Autumnal Equinox 2010, Jupiter/Uranus conjunction 2010/11, Jupiter/Uranus conjunctions in Aries and Pisces of 2010/11, mundane astrology, Summer Solstice 2010, Uranus in Aries, Writing from the Twelfth House. Bookmark the permalink. Harry you just have the perfect story! You see, when transiting Sun or transiting Mars aspects that point 0º Aries where we have our natal planets, then everything goes BOOM. I was also through a lot of change and events around the 30th July and the 19th September. Including like you travel to other countries in connection to changes in work situation. I did so much crazy stuff, met so many people, was amazing this summer. Next 10-20th December, we will have again another BOOM period! My advice would be, for whoever has an Uranus transit, to go with the flow of change. What you really love to do. Travel for a long period is a great thing to do under an Uranus transit, I did it, and it was amazing, filled with intense experiences. Much better than having Uranus transit at home and stressing about changing or not. Thanks for this, Segurelha. Anyone not in the study who has anything at 0 degrees Aries – or any of the Cardinal Cross – do let us know how it’s been for you! So staying open to the reality of unpredictable disruption and trying your best to be philosophical is the best option, I think. And outer planet transits always raise a certain amount of apprehension and fear, no matter how philosophical we try to be. So allowing oneself this, is also I think helpful. Pingback: Jupiter/Uranus brings more disorder: Part 8: ‘Tales from the Wild Ride’ « "Jupiter meets Uranus"